When it comes to stunning and beautiful destinations in Vietnam (Việt Nam), there are a lot of choices but there is a limited number of official places for camping in Vietnam. Here, we introduce to you top the most ideal places for camping in Vietnam. Check out below! 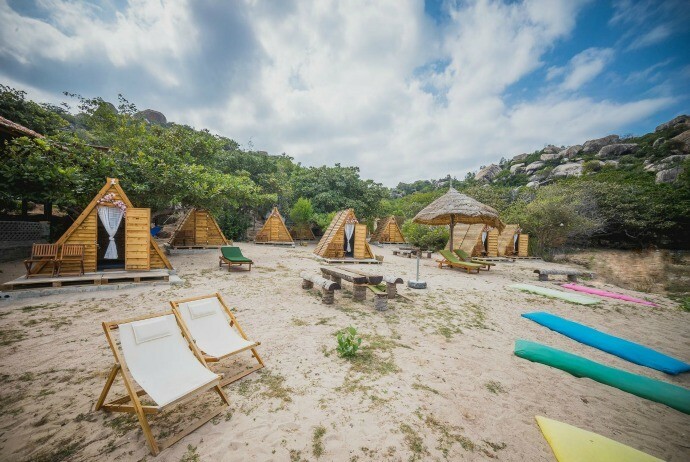 Located in Binh Lap (Bình Lập) village, Cam Lap (Cam Lập) commune, about 30km far away from Cam Ranh city, Khanh Hoa (Khánh Hoà) province, Sao Bien (Sao Biển) ecosystem site is one of ideal places for camping in Vietnam. 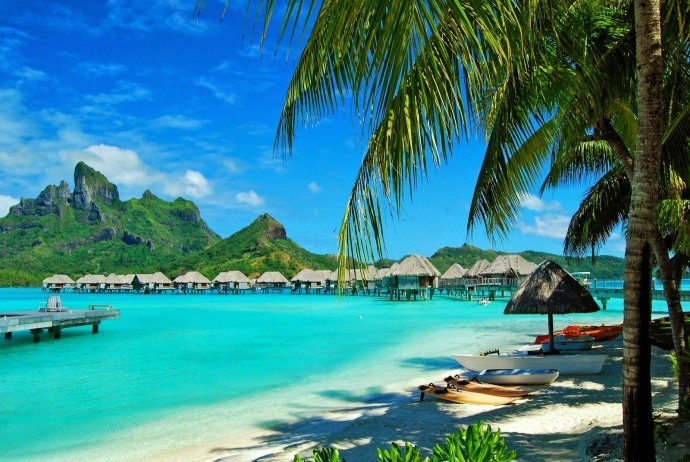 Arriving in this destination, you will be able to relax in tent or wooden bungalow on the beach. The wooden bungalows are settled on the beach with the cost of 500,000 VND/night for two individuals. The beach here is clean and safe for kids. 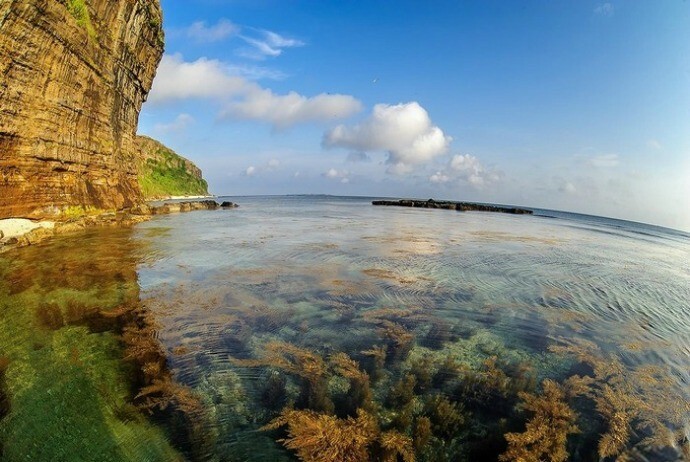 In this fresh atmosphere, besides fishing and swimming, you could take part in many interesting activities such as kayaking, boating, flying kite, cycling, fishing squid, climbing mountain and camping, etc. 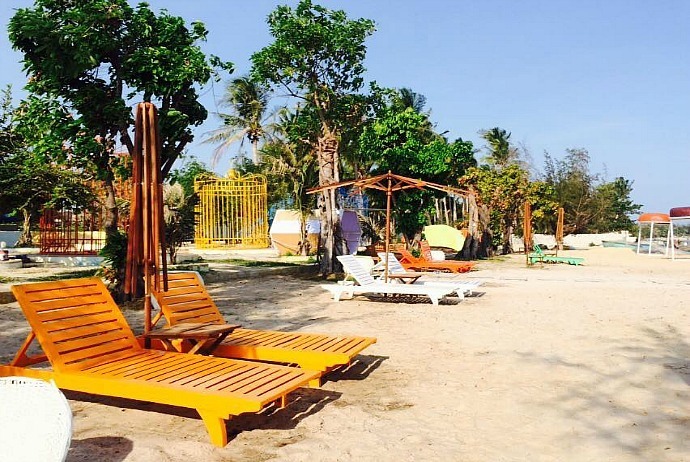 About 180 km far away from Ho Chi Minh city, Coco Beach camp, located in Lagi city, Binh Thuan (Bình Thuận) province is a great sleeping camping site on the charming beach. This area will bring to you a lot of options in regard to tents, such as single tent, double tent, or tent for a whole family. Each one has the price of 150,000 VND/person. Here, you could contemplate the primitive scenery of Cam Binh (Cam Bình) beach, see blue sky, enjoy delicious seafood, take beautiful photos, and wake up with the sounds of birds. 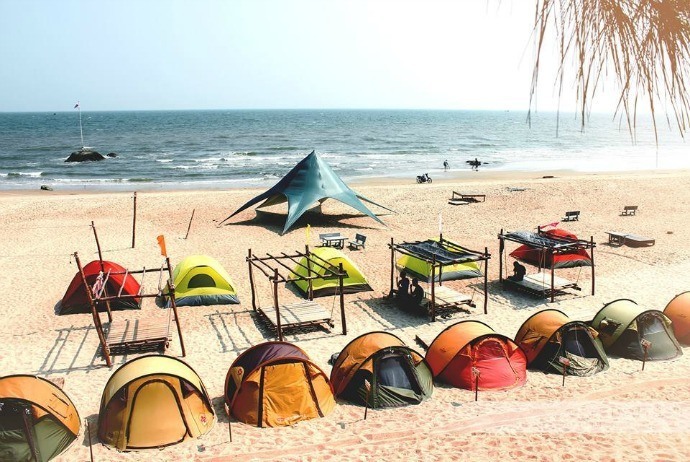 About 140 km far away from Ho Chi Minh city, following the direction to Ba Ria – Vung Tau (Bà Rịa – Vũng Tàu), Son My beach is an ideal camping site for tourists. Located in Ham Tan (Hàm Tân) district, Binh Thuan province, the site has about 20 tents serving for both individuals and groups with the price ranging from 75,000 – 150,000 VND/person. Located in the coastal fishing village in Bai Xep (Bãi Xép), Ghenh Rang (Ghềnh Ráng) ward, Quy Nhon (Quy Nhơn) city, Life’s A Beach was built by two young British people, Gavin and Steve. After a few years of traveling throughout Southeast Asia, they have chosen the stop at Bai Xep because they love Vietnam, particularly fishing villages as well as wonderful people here. With stunning unspoiled scenery, Bai Xep is the famous destination for backpackers who love beautiful beaches of the sunny and windy central strip. Life’s A Beach is also a great accommodation you could not miss when visiting this beautiful beach. 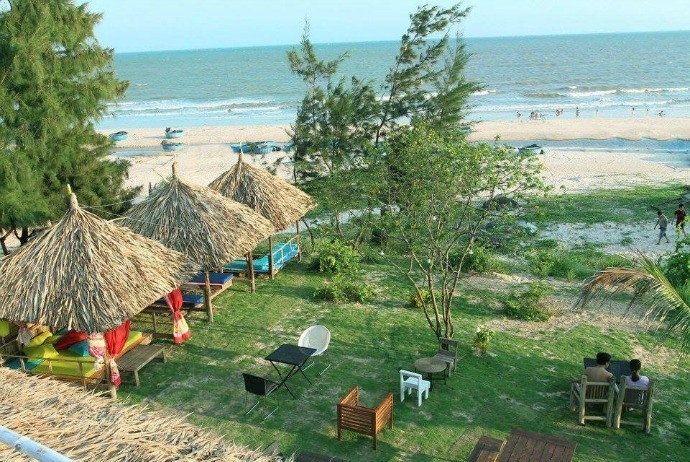 Located about 10 km far from the city center of Quy Nhon, Life’s A Beach will bring to you a sense of “Western” in the air and the layout of cabins, hut roofs, and the way to relax and entertain. You can walk, discover unspoiled beaches with golden sand and explore the lives of gentle fishing villagers, or enjoy a variety of delicacies of Quy Nhon (Quy Nhơn) sea. Because the resort is located in a fishing village, tourists can immerse themselves in the daily life of fishermen here. Talk or watch the local fisher fishing nets or playing with the kids on the beach. This beach is pretty wild so it is very clean. Tourists can freely enjoy swimming and sunbathing on the golden sands. For those people who love backpacking travel, and want a holiday close to the nature and experience the real life whenever they come, then Life’s A Beach is such place. The resort is not luxurious but makes your holiday warm and memorable. For those loving camping, this is one of great options. The camping site has some activities such as diving or walking. 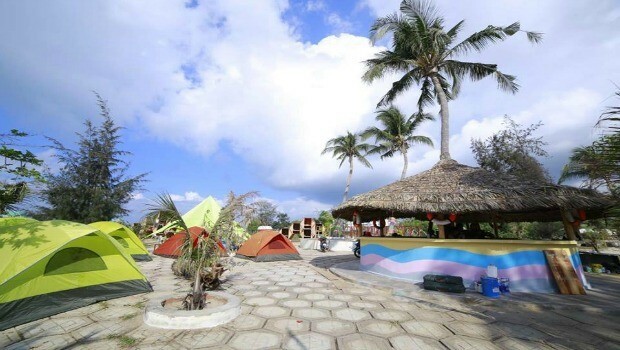 Trung Luong (Trung Lương) Camping site is an attractive and new destination for those beach lovers. 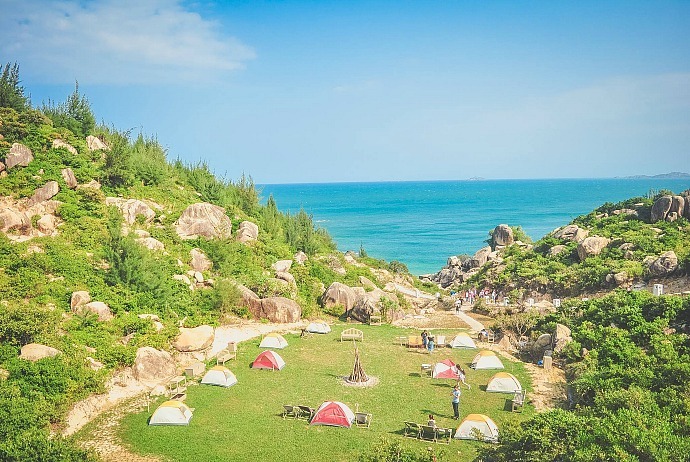 Located in Trung Luong village, Cat Tien (Cát Tiên) Commune, Phu Cat (Phù Cát) District, Trung Luong camping site is about 30 km far away from the city of Quy Nhon (Quy Nhơn). Here, the scenery is very primitive with white sand, blue sea, and rock reefs. After enjoying the scene and taking pictures, you can dive in the wave and relax or enjoy fresh seafood. This is not really an official camping site yet very famous among local tourists and nobody will question you for camping here. Being a 600 meter hill situated in Ga (Gà) hamlet, Thach Son (Thạch Sơn) ward, Son Dong (Sơn Đồng) district, Bac Giang (Bắc Giang) province, Dong Cao is about 160km far away from the capital Hanoi. This place is enjoyed by its isolated location to the resident areas, greatest view of dawn and peaceful atmosphere. 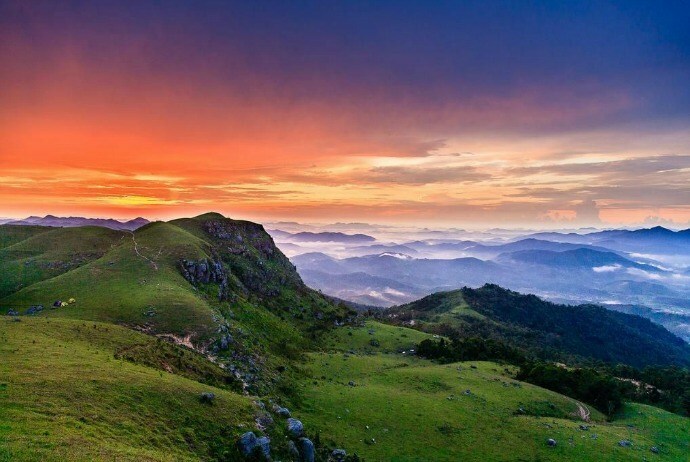 According to experienced travelers, the best time for camping at Dong Cao is from September to November when there is not much rain in the northeast Vietnam; hence, the weather is very supportive for watching dawn. Also, the wind in Dong Cao is rather strong while the slope is relatively steep, so you had better opt for a flat ground. 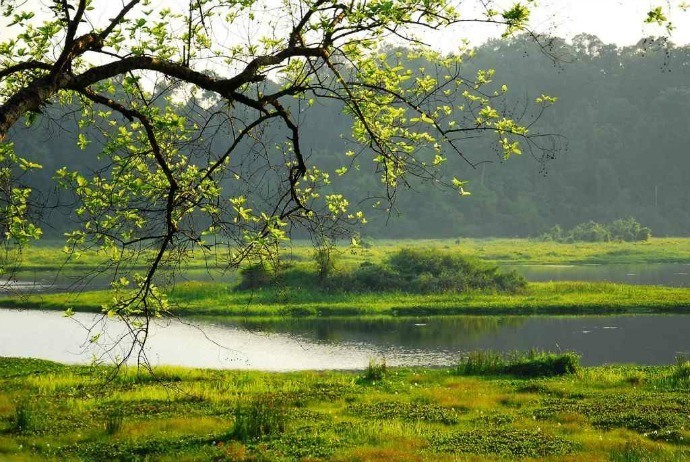 About 40 km away from Hanoi city center, Dong Mo is a popular destination for those who love camping. 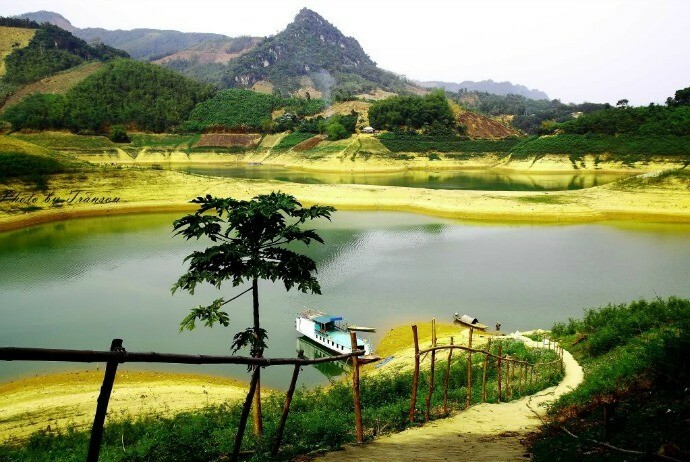 Dong Mo is the name of a lake and Son Tinh (Sơn Tình) is the name of the campsite situated adjacent that lake. This is suitable for camping, picnic, or boating on weekends. There is a resort with beautiful views on Dong Mo Lake as well as artificial islands which spread out on the area of 200 ha near Ba Vi (Ba Vì) Mountain. 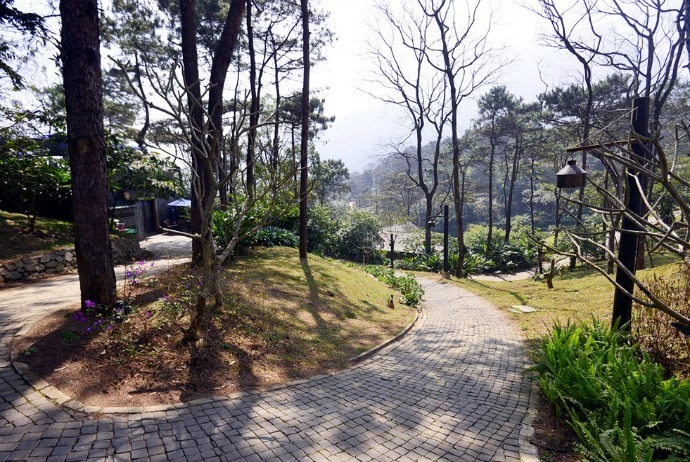 In fact, Son Tinh is a campsite completely dedicated for camping space and outdoor picnic. The tents here are mostly pre-pitched so tourists do not need to bring them. Necessary facilities like bathrooms and common services are available. Nonetheless, the price of renting tents is not cheap, which costs customers about 400,000 VND / family tent and 200,000 VND / 2-person tent for 24 hours. Belonged to Doc Ton range, Soc Son district, Hanoi, Mount Ham Lon (Hàm Lợn) is about 40km far away from the city center and could be reached by the way to Noi Bai (Nội Bài) airport. Its peak is just heighted at 462 m above the sea level; therefore, it is ideal for trekking to the top. You could camp either on the top of that mountain or at the official campsite of Suoi Bau (Suối Bàu) Lake below. This is a famous destination for both local people and international travelers. During summer and early autumn, every weekend, there are hundreds of young people sitting on their motorbikes flock here in order to enjoy the clean and cool air as well as great sceneries of the nature. Here, there is a large pine forest which is suitable for camping. You could set up your tent and or simply rent it for 150,000 – 200,000 VND / 4-person tent. They could also prepare the campfire for you if required. There are other services for travelers to consider. The best means to go to this site is by motorbikes. Park your bike here overnight with a small fee. Spreading on three provinces which are Lam Dong (Lâm Đồng), Dong Nai (Đồng Nai) and Binh Phuoc (Bình Phước), approximately 160km far away from the hustle and bustle of Saigon (Sài Gòn), Nam Cat Tien national park is considered one of the best destinations for camping in the south of Vietnam thanks to its cool and green forests. You will not only camp here but also have trekking, bicycling tours in order to discover the beauty of the nature. The tents for rent here range from 80,000 VND to 200,000 VND / night. You could bring yours as well. The sites that you can check out are botanical garden, Ben Cu (Bến Cự) waterfall, Mo Vet (Mỏ Vẹt) waterfall, crocodile pond, etc. 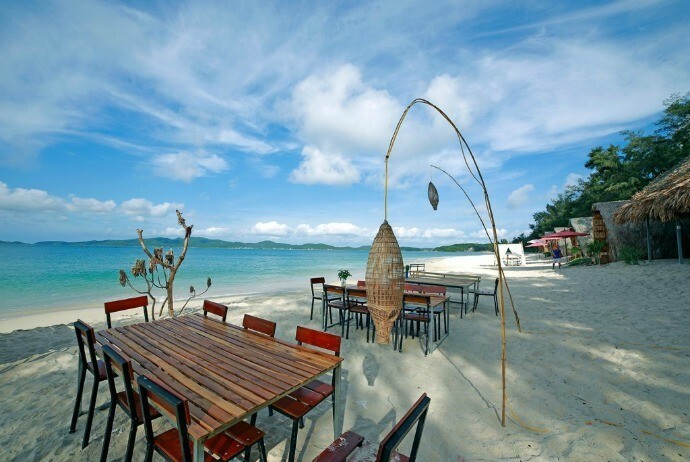 As Phu Quoc Island is ideally legal for all travelers, it is a perfect site for camping for international tourists. There are a lot of places you could set a tent around the island, from the forests and mountains to beaches. 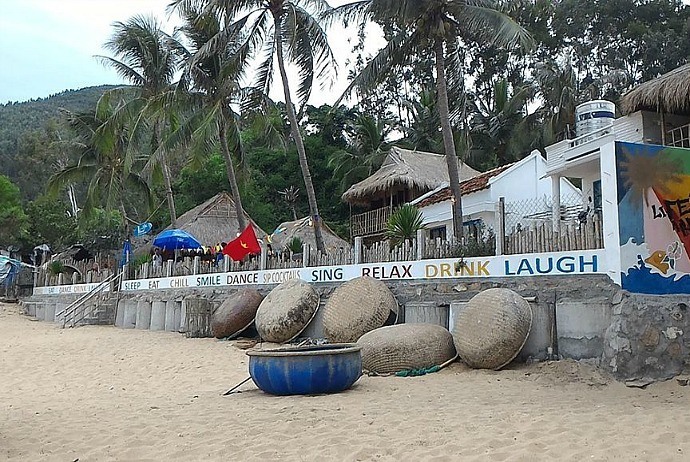 For beach, Long beach (Bãi Dài), Star Beach (Bãi Sao), or Ong Lang beach are extremely suitable for camping with their stretched, long seashore and crystal blue water. In case you do not have any tent, you could rent it from almost resorts here. 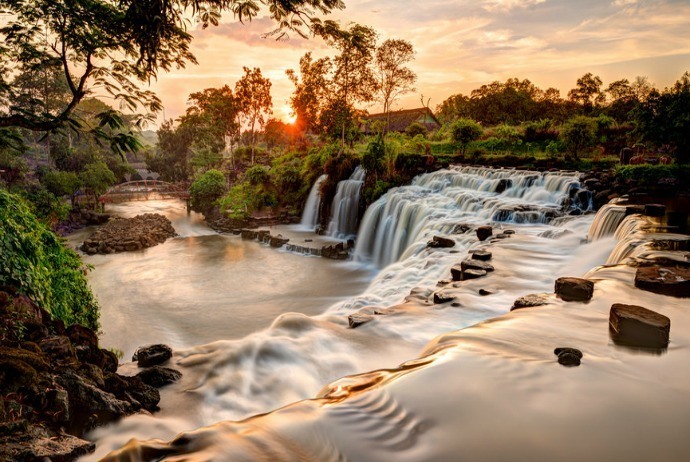 About 50 km far away from Ho Chi Minh (Hồ Chí Minh) City, Da Han waterfall is a famous tourist complex offering group activities, outdoor recreations, and camping space. Having stunning sceneries, this complex has a main feature which is three waterfalls named Chang (Chàng), Nang (Nàng) and Da Han. According to the legend, there was a couple jumping down together at these waterfalls as they could not be together. Visit Da Han, either with groups or alone, you could rent a hut or a tent with the price of 50,000 to 70,000 VND / day. Also, there are services for fishing, swimming, garden visiting, mountain biking, or off-road car racing… In addition, there is a market in which you could buy fruits and veggies, or souvenir stalls that you can buy gifts for your loved ones when coming back. About 20 km away from Quang Ngai City, and 1 hour by boat off coast, Ly Son is an interesting site for camping in Vietnam. The final point of this island, close to Duc (Đục) Temple is very ideal for camping because it is shielded by a lot of trees. The place is also not too far from the residential areas. It is a heaven for wildness camping. In order to catch this place, you can catch a flight from Hanoi to fly to Danang. Then, in Danang (Đà Nẵng), take a bus to Quang Ngai and then Sa Ky (Sa Kỳ) Port. You can sleep at My Khe (Mỹ Khê) Beach for one night before catching a boat to Ly Son Island the next morning. It just takes 1.5 hours but there is just a single boat trip to Ly Son Island every day. Make sure that you bring enough water, food, and essential personal items with you in case you plan to camp here. If you do not bring that stuff, don’t worry because food and drinks on this island is rather cheap and seafood is tasty. However, Ly Son Island does not have fresh water so you have to take it with you or buy it from local people, along with blankets, tends and camping utensils. Vietnam is not only well-known among adventures for a lot of places of interests, incredible landscapes, and beautiful waterfalls but also popular for ideal campground in the spectacular sceneries and fresh atmosphere. 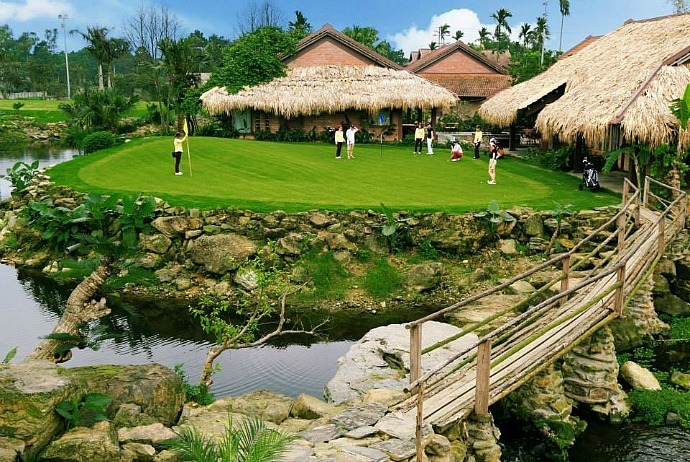 Thus, campers should not miss a chance to visit Vietnam. For those who are big fans of camping, national parks like Cuc Phuong (Cúc Phương) National Park, Bach Ma (Bạch Mã) National Park, Ba Vi (Ba Vì) National Park common destinations. However, when camping there, you need to be aware of some problems and this part of the article will reveal some tips on camping in Vietnam. Your travel agents will be certain to let you know beforehand about the camping sites and generally those camping equipments as well as tents will be provided by the tour operators or local tourism agents if you book a hiking tour associated with camping. First aid kit, suitable clothes, foods and water are what you had better prepare in advance. It is lucid to bring with your raincoats, hats, or umbrella, a whistle, high-energy food, extra socks, a reflector, and mittens. As in Vietnam, you will find it difficult to purchase camping equipments as well as other necessary things, you should prepare those things if you are an dependent traveler. In regard to clothing, because cotton takes a long time to dry out, so you may easily get sick in case of wearing wet clothes, it is not a perfect material for camping. You will find it difficult to avoid rains in Vietnam because Vietnam is a tropical country. During rainy seasons, it is humid. Heavy rains can accidentally show up that may destroy your satisfying trips; thus, for safety reasons, you should avoid going camping in this period. Another thing to notice when camping in Vietnam in winter is that there is no heater here and the bitter cold of the chili wind will discourage those travelers coming from some sunny countries even that Vietnam does not have too harsh winter with the temperature of under 0 degree Celcius. Prior to going, you should check out the overviews about your chosen camping site and watch weather forecasts. One of main concerns when going camping in Vietnam is insects, particularly leeches, snakes, and mosquitoes. Hence, you should wear long-sleeves shirts and pants rather than shorts ones because it is the simplest way to deal with those matters. Apart from insect repellant, you need to bring medical kit along with you.